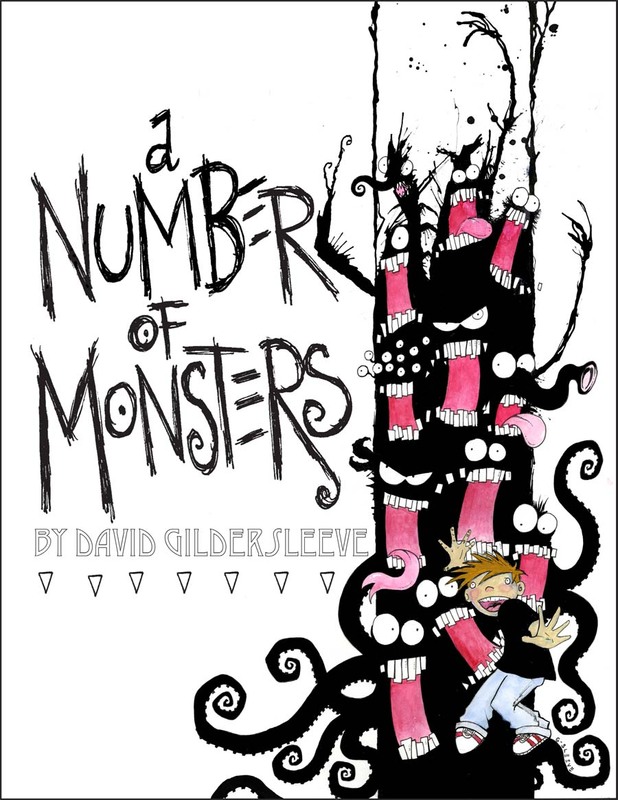 Home > G-sleeve Art > "Books" by David > "A Number of Monsters"
“A Number of Monsters” is a book that young kids will enjoy browsing through again and again. Whether they read it themselves, or they follow along while mom or dad reads it to them, they will be captivated! It is also a fun and whimsical way for kids to learn their numbers … to count … without even knowing it’s a learning experience. Click on image to enlarge it. 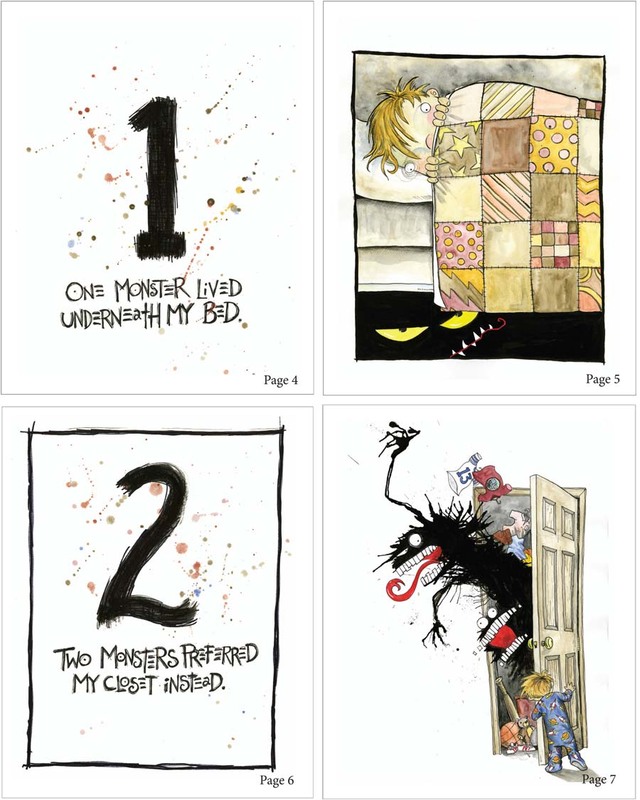 The book takes the reader through a series of illustrations showing us how monsters like to live – from 1 monster who lives under the bed to 20 monsters who wave goodbye at the end (sample pages shown at the left). The child reading the book will enjoy counting along as they see how the monsters play and interact with our alter ego. The art is what catches the eye and will appeal to any age group that think Edward Gorey and Dr. Suess are the best authors and artists the children’s book industry ever had. But populating the book with monsters makes it even more appealing. These are certainly not monsters to be afraid of. A fun book with cool interesting art that also happens to be educational. 44 pages, 8" x 10"